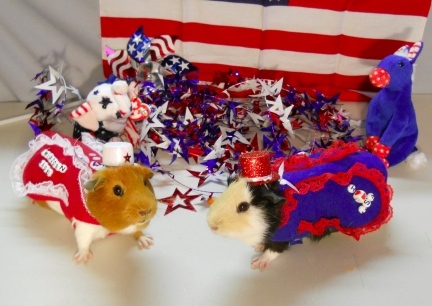 These little coats are made in a variety of ways. 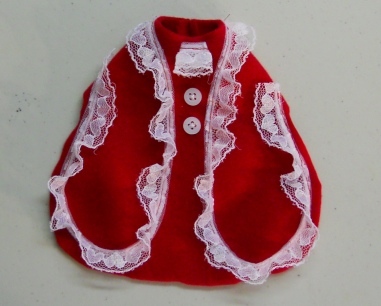 This one is a Cute Little Red Coat with Fancy White Lade and a White Lace Old English Neck Tie. The Coat also has two little White Button sewed on for fun. I wish the photos showed the outfits better then they do. The waist measurement on the Dress is approx 11 1/2", but has a large piece of vecro to adjust down, the fabric also does have a bit of stretch in it, and the outfit is approx 6 1/2" from neck to tail.